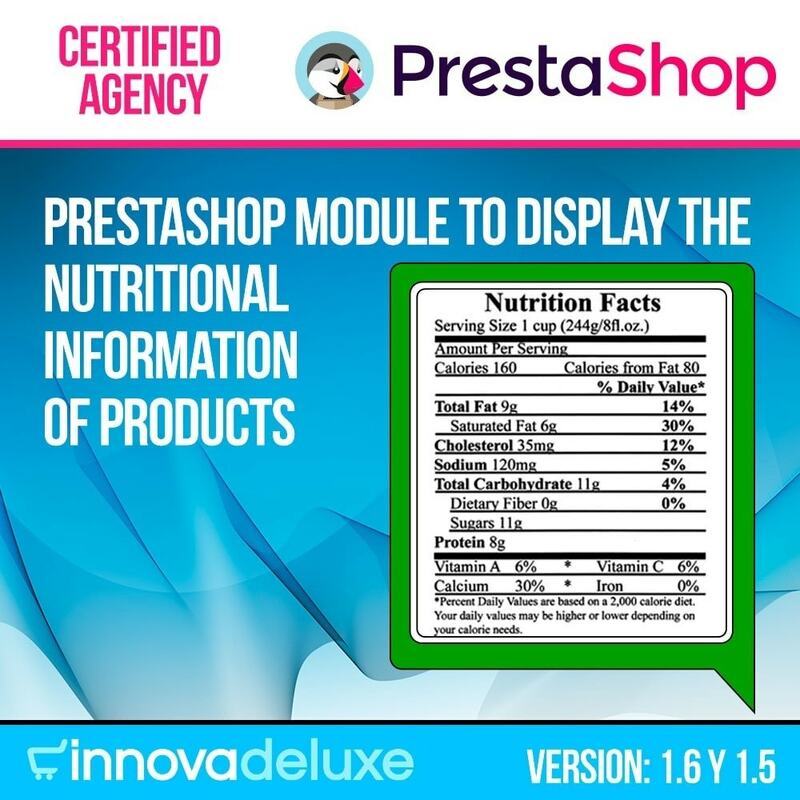 With this module to show the nutritional information and the composition of the food products, you will be giving your customers a fundamental information so that they can make the purchase of the products that interest them. 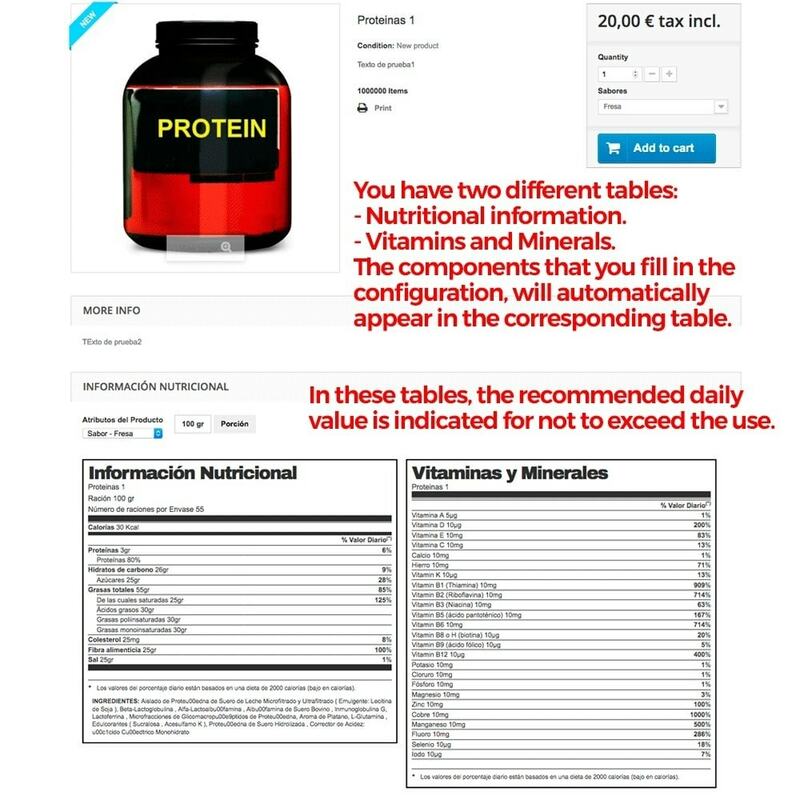 You will be able to know what is the recommended daily amount for each product to not exceed his use. 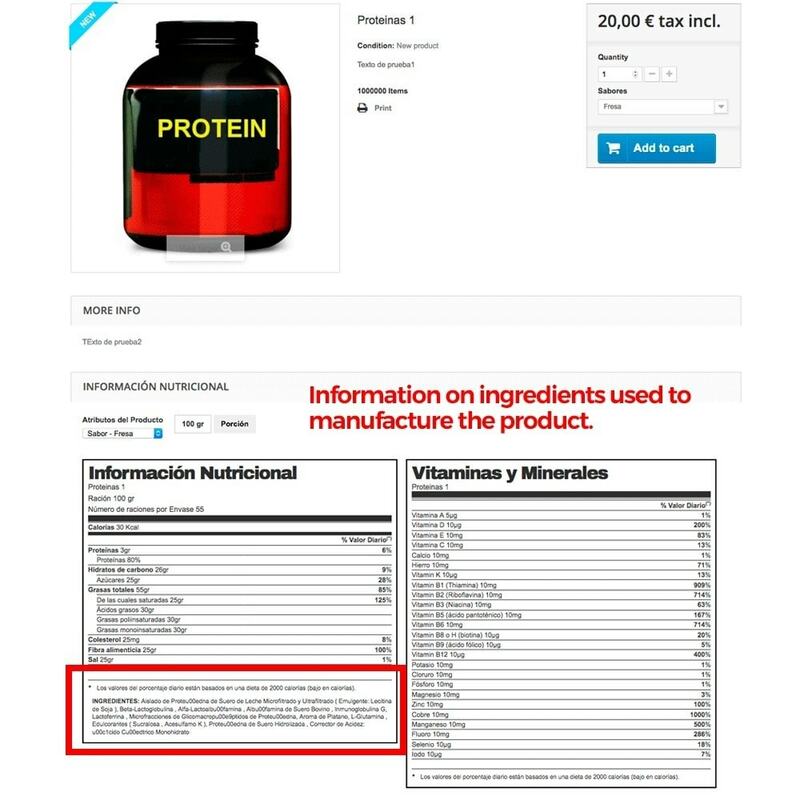 You will also be covered by any claim for not displaying the information required by current regulations for this type of products. 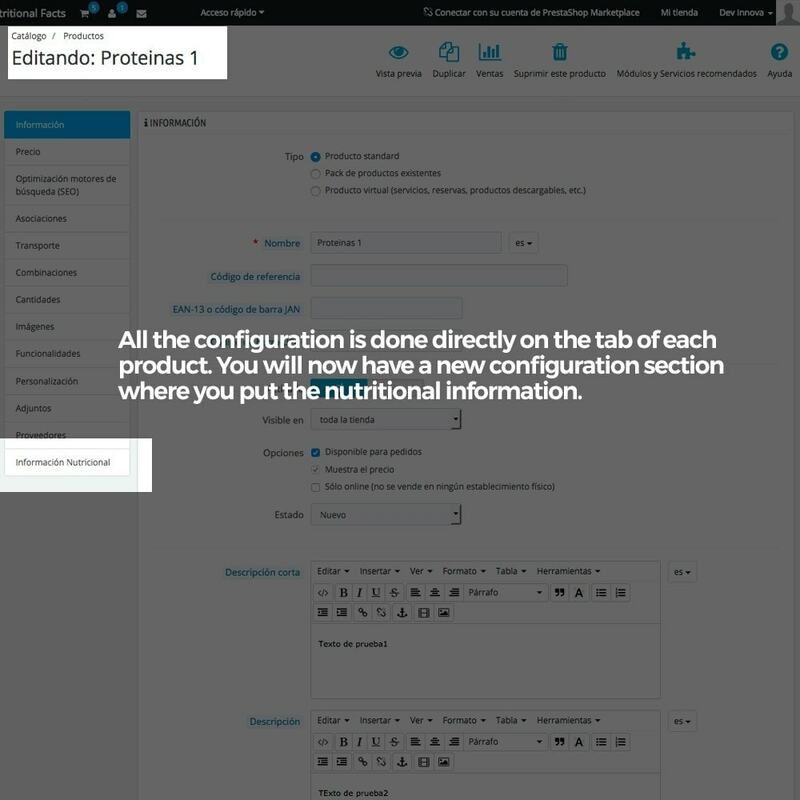 From the product sheet in your configuration, you can add all this information in a simple way and the module will display all the information in a new tab in the store, in the product sheet. 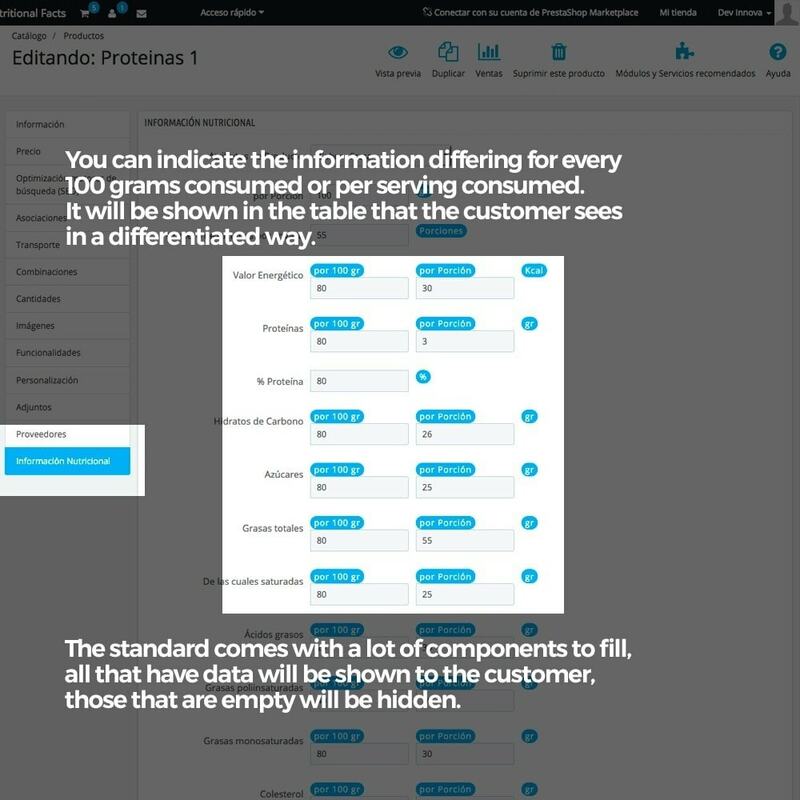 It will show a table with the standard design required for this type of products. 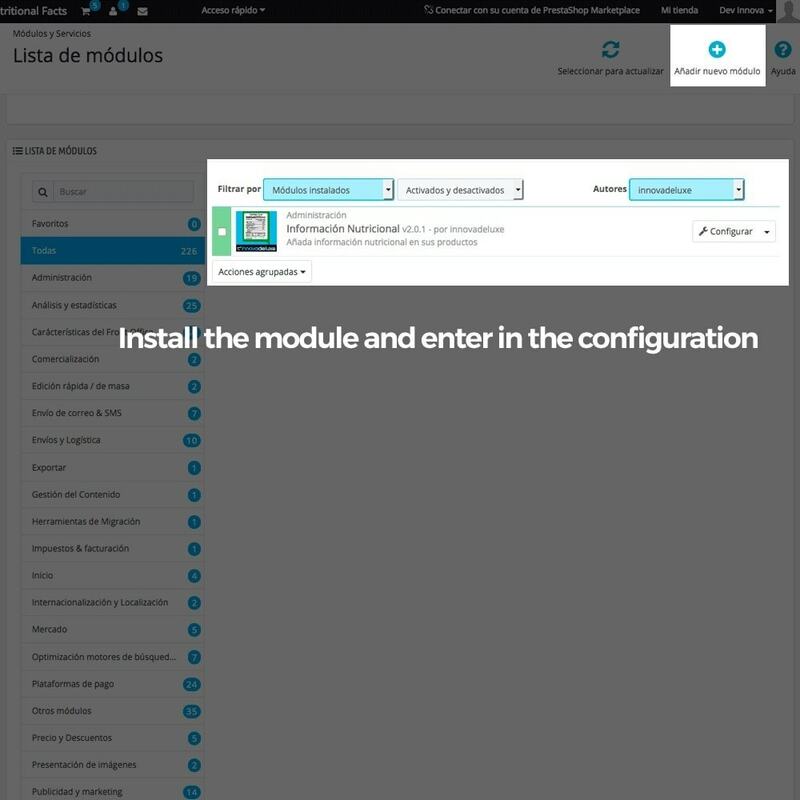 Look at the pictures on this page. 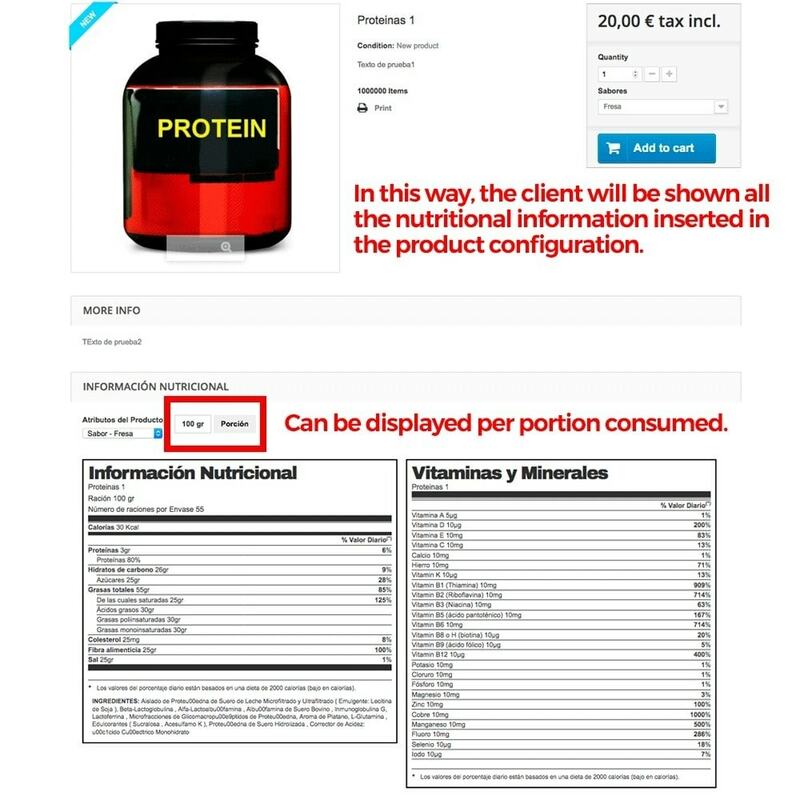 You will avoid any type of complaint by a client for not reporting the taxes of a food product that may cause an intolerance or food allergy. 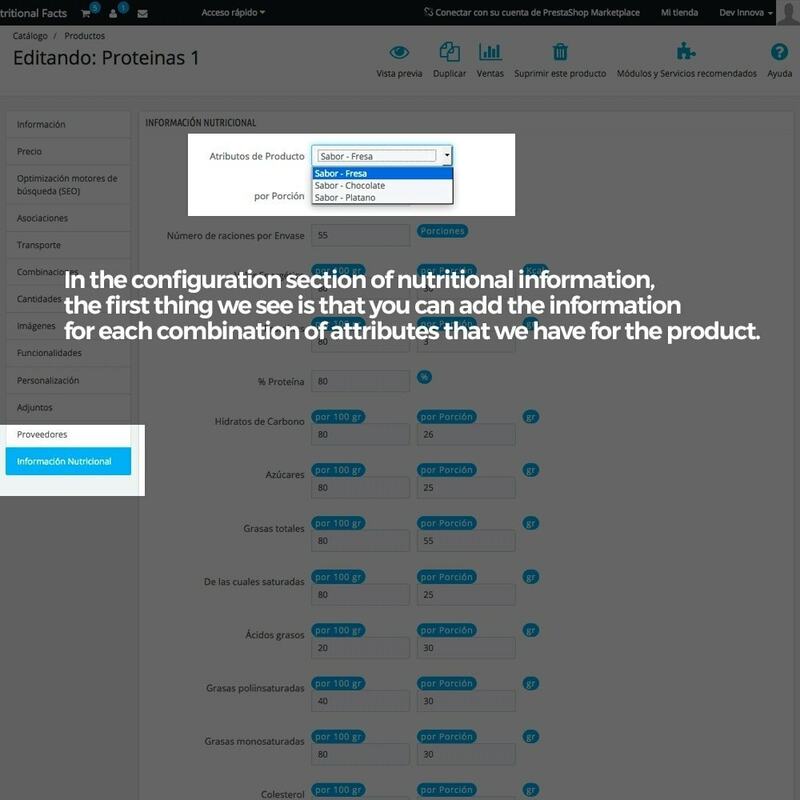 With this module you can show your customers 2 different tables, one for nutritional information and another for vitamins and minerals in which shows the recommended daily amounts for each component, vitamin or mineral. 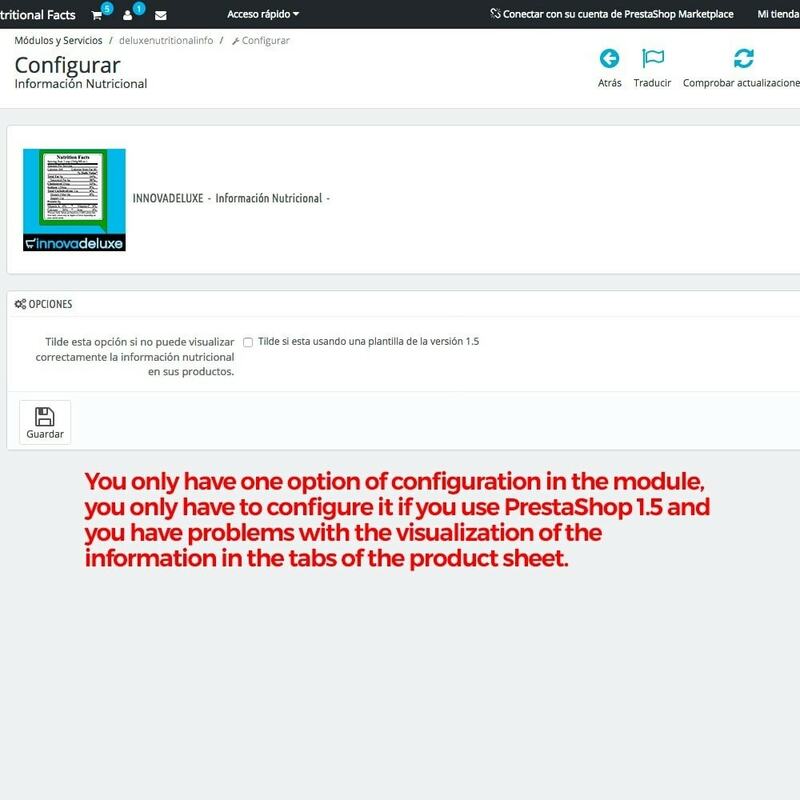 Insertion of information for each attributes combination. 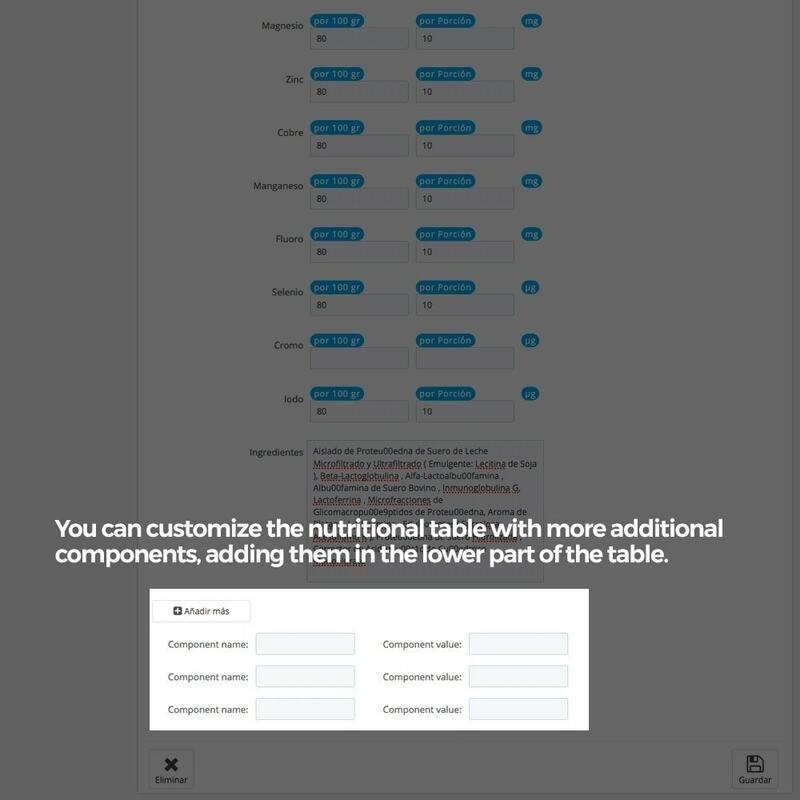 Lots of vitamins and minerals just to introduce the amounts to show. 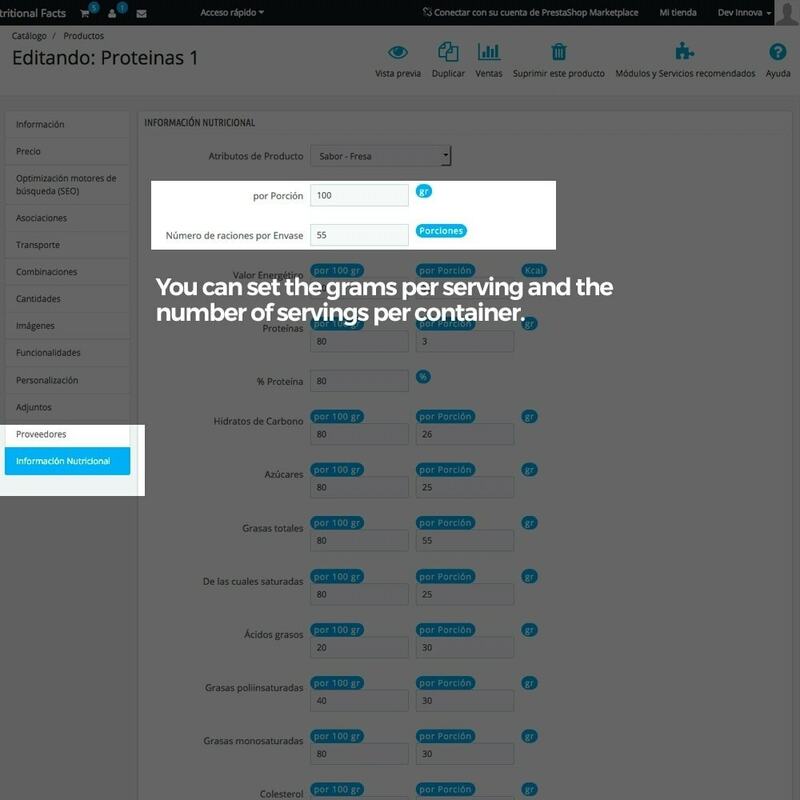 Possibility of adding new components to the nutritional table, for example to add amino acids. 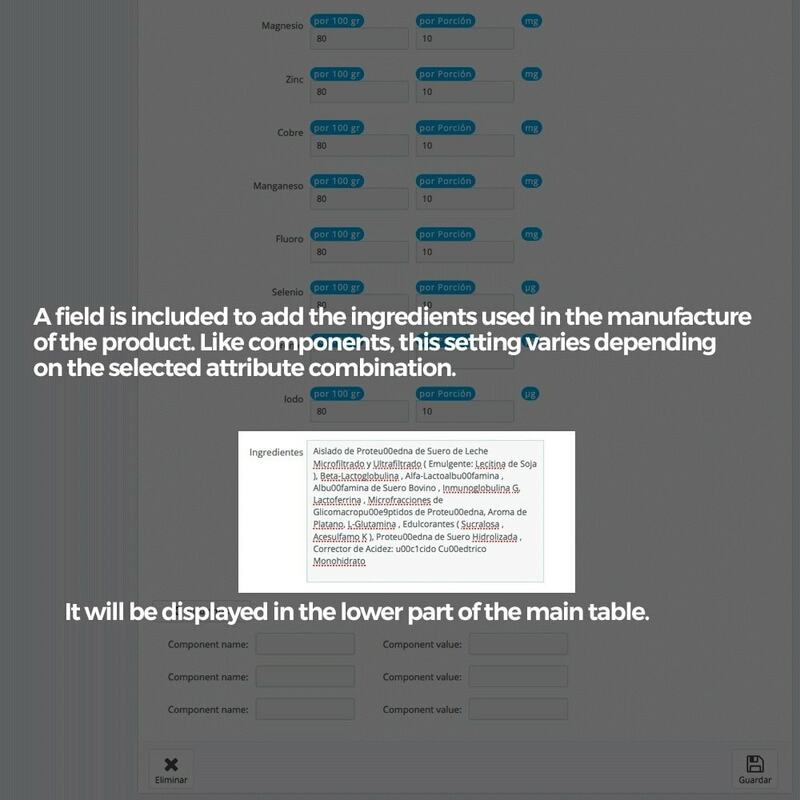 The customer will have all time the necessary information to be able to decide which is the product that best meets their personal needs, avoiding any kind of intolerance or food allergy. 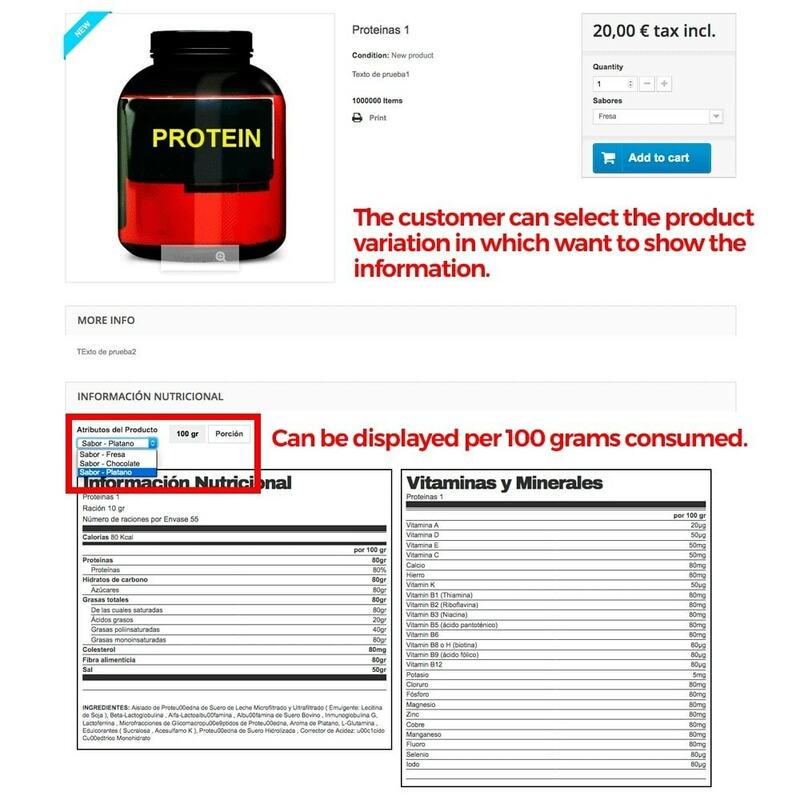 You will be calm with your purchase and you will have absolute confidence in the store because it provides all the information necessary to place your order with guarantees.